Devin Barbee retired from NASCAR in 2008 to open a successful, upscale butcher shop called The Stock Market– the go-to place for the best cuts of Angus beef, steroid-free chicken, turkey, pork and other specialty items. Joey Graham loves to cook and experiment with cooking styles. He earned his way through school and made a living after by working in, operating and managing restaurants– all while developing a distinctive cooking style of his own. 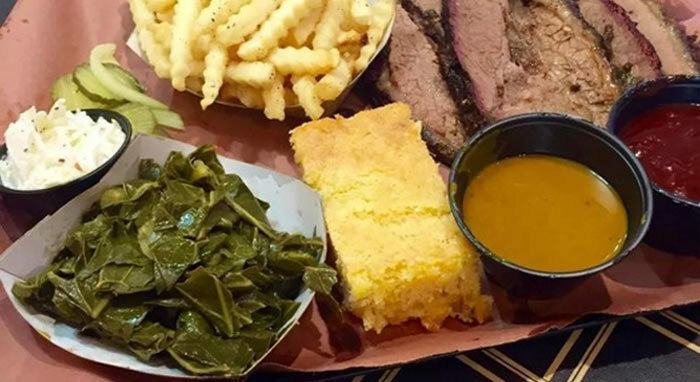 The two both desired to open a restaurant and joined forces to create the perfect combination of quality meats and perfected barbecue recipes. Chef Graham’s inspiration for barbecue is drawn from sampling some of the best that the country has to offer from Texas, Kansas City, and Memphis to South Carolina and Florida. Stop in for breakfast or lunch for plentiful portions of perfectly smoke meats and made-from-scratch sides!